You know what they say, “a happy wife lives the van life!” Well, they say something like that. One thing we do know for sure – an elopement on the road is a totally whimsical way to start your life together! Now you can experience the romantic side of life on the road with Simply Eloped and Wandervans. We’ve partnered with Wandervans to offer an outdoor elopement package on the backcountry roads of the Idaho wilderness. 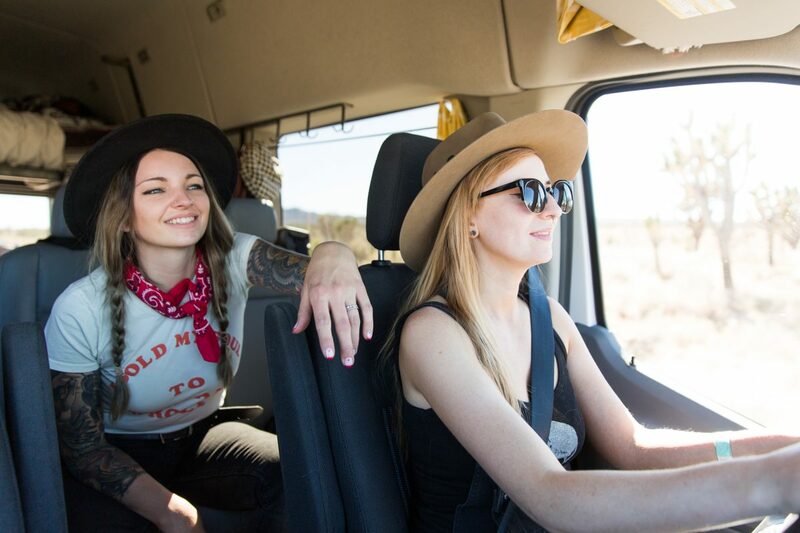 Wandervans has a fleet of Sprinter Vans that have been outfitted for living on the road, making for the perfect post-ceremony getaway or mini-moon for you and the love of your life. Pair this cozy set up with an Idaho elopement package and you’re ready for your most romantic road trip to date. The Simply Eloped team will help you choose a beautiful location for your wedding ceremony, then you can hit the road as a married couple and explore the gem state. 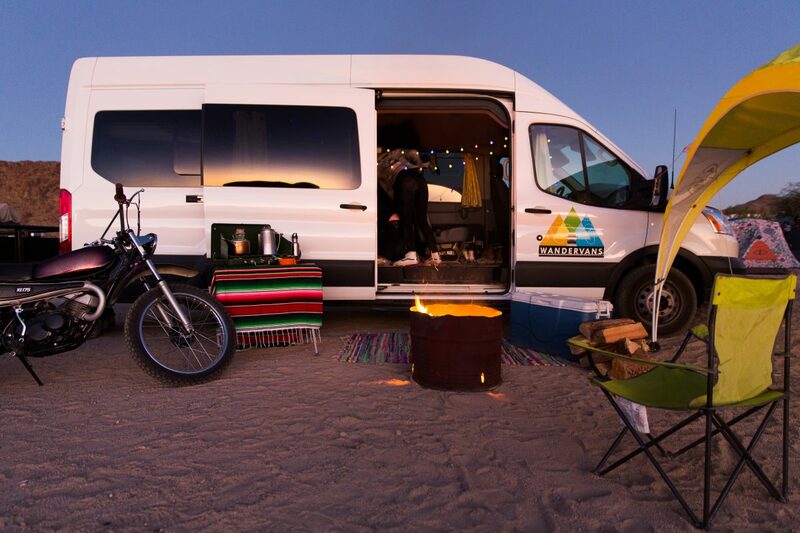 Traveling by campervan allows you to travel anywhere, boundlessly! Find the most private places to take a steamy hot springs soak or head down a dirt road to set up in the best camping spots without a soul in sight. 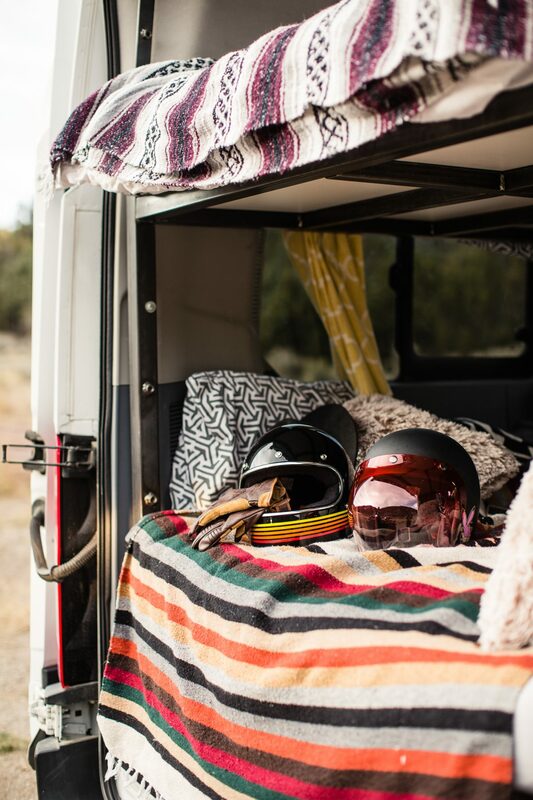 Wandervans are fully equipped for van-dwelling, so you don’t have to worry about packing gear for the outdoors. Each van comes with built-in beds with a memory foam mattress, a table and chairs, an electric fridge, an outdoor stove, and a sink. Wandervan can also provide a diesel or propane heaters or an awning if needed, making winter camping and summer travel completely doable. The vans allow you to get out in nature for extended periods of time, while still being able to retreat to snuggle up in an intimate mountain abode. To find out more about planning your dreamy elopement excursion, get in touch with our team. 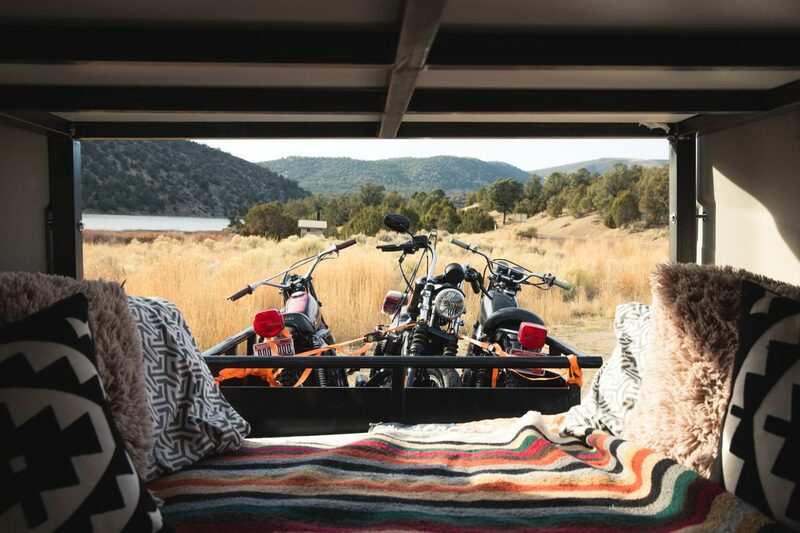 We’ll walk you through the Idaho elopement package options, talk vendors and pair you with a Wandervan that suits your needs.